Before last week's indictment, Ron Wells had lately been in the news for his work to redevelop the Ridpath Hotel. A decade ago, a fraudster helped kill the Ridpath Hotel. In 2008, the complicated schemes of developer Greg Jeffreys contributed to the Ridpath not only closing, but being divided up into so many pieces that it was almost impossible to put back together again. In 2014, Jeffreys was sentenced to eight years in federal prison on wire fraud, bank fraud and conspiracy charges. But last week, a federal indictment suggested the latest tragic twist in the Ridpath saga: The man who resurrected the Ridpath — against all odds and repeated setbacks — was also an alleged fraudster. 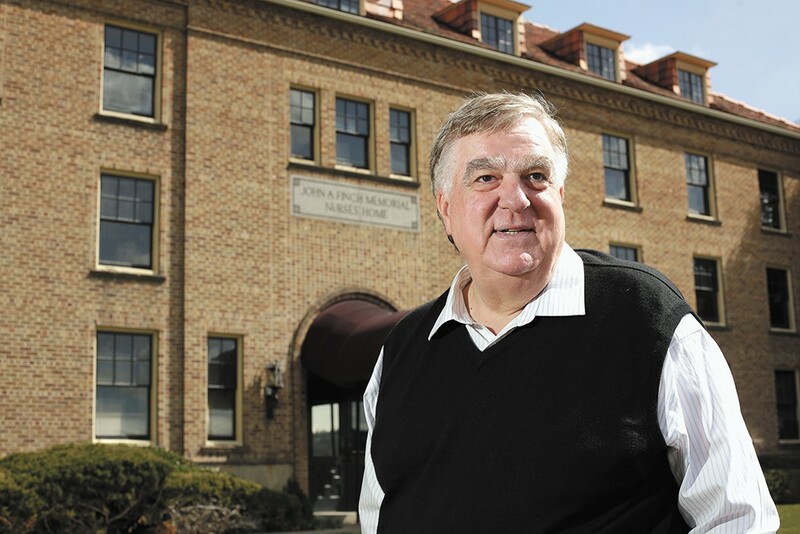 Ron Wells has been a widely respected downtown developer. In April, he was telling the Inlander about his plans to follow up the Ridpath apartment complex with a 40-story residential skyscraper downtown. But last week, a federal indictment alleged that he had been a part of a complicated insurance-fraud scheme. Among the 17 counts against Wells: investigators suggest that on Oct. 16, 2016, a truck registered to Ron Wells was intentionally driven into a truck driven by a man named Christopher Frangella, towing a boat registered to suspected insurance fraud ringleader William Mize. Along with Mize's wife, they all allegedly falsely claimed they suffered injuries in the accident, garnering nearly $340,000 in insurance settlement payouts from Safeco. A press release from Kevin Curtis, Wells' attorney, complicated Wells' story even further: About two months ago, Wells had been put into a three-week medically induced coma after a surgery. Neither his attorney nor the federal government knew what had happened. As soon as Wells is able to, Curtis writes, he'll help the federal government with their investigation. "It is Mr. Wells' sincere hope that the projects in which he is involved will not be jeopardized by his personal situation nor to detract from his numerous civic contributions over the years," Curtis writes. The original print version of this article was headlined "Wells, Wells, Wells"